BELLFLOWER – Bellflower Unified’s dual-language immersion program is adding fourth-grade instruction at its home campus this fall as well as adding a new kindergarten class at a second school in the District. Classes begin on Monday, Aug. 28. The expansions are a recognition of surging parent interest in Spanish-English dual-immersion instruction. In March, Bellflower Unified families lined up around the Intensive Learning Center (ILC) up at 2 a.m. to register students. The school, which launched the program five years ago, filled all 72 kindergarten spaces in just a day and a half. The second location, at Washington Elementary School, quickly filled its single kindergarten class and started a waiting list. Washington Elementary’s program starts with 24 students in kindergarten. “We are working closely with our colleagues at the ILC to ensure we maintain the same rigorous academic standards as we expand the program,” Washington Principal Dr. Angelica Montelongo said. Both campuses also offer dual-language instruction for preschool students. Launched in 2016-17, the preschool program helped the District gauge parent interest before it offered elementary instruction at Washington. In fact, reports cited by the California School Boards Association indicate that dual-immersion programs can help boost student performance over peers in single-language classes and counter the challenges faced by economically disadvantaged students. Such programs are on the rise across the state in the aftermath of passage of Prop. 58 in 2016. The proposition eliminated barriers to instruction in non-English languages in recognition of the value of a bilingual community. Bellflower Unified’s program splits instruction between English and Spanish, starting with 90 percent Spanish and 10 percent English, and adjusting each year until instruction is balanced between the languages. Classes include a mix of native English and Spanish speakers who help each other with mastery of their new languages. Bellflower Unified recognizes dual-immersion students’ achievements with a special recognition ceremony and Path to Biliteracy Awards at the end of each school year. Gabriela Calderon, ILC, second grade: Calderon taught at a Los Angeles charter school and brings 10 years of experience in bilingual programs. She has also taught special education and several-grade levels. Claudio Ribas, ILC, fourth grade: Ribas, who worked at Lenox School District, brings 24 years of dual-language experience to the ILC. Anya Bobadilla, ILC, fourth grade: Bobadilla brings seven years of experience in dual-language instruction from Glendale Unified. Ana Fletes, Washington, kindergarten: Fletes has four years of experience as a teacher. This is her second year with Bellflower Unified and her first year as a dual-immersion teacher. 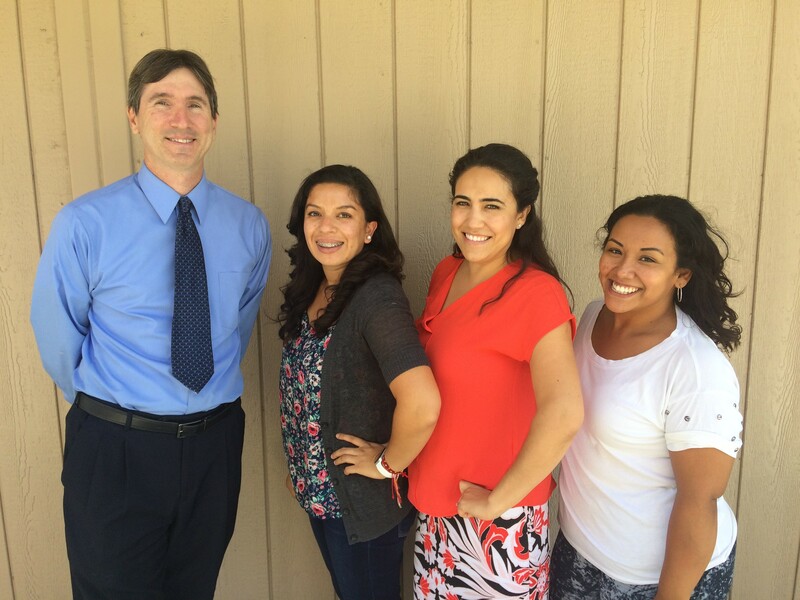 BUSD_IMMERSION_1: Bellflower Unified added four new teachers to its expanding dual-language immersion program this fall: (l-r) Claudio Ribas, Ana Fletes, Gabriela Calderon and Anya Bobadilla. Bellflower Unified added four new teachers to its expanding dual-language immersion program this fall: (l-r) Claudio Ribas, Ana Fletes, Gabriela Calderon and Anya Bobadilla.